Order online and pay securely and instantly. Simple. If having trouble paying online by credit/debit card, click here or call us. 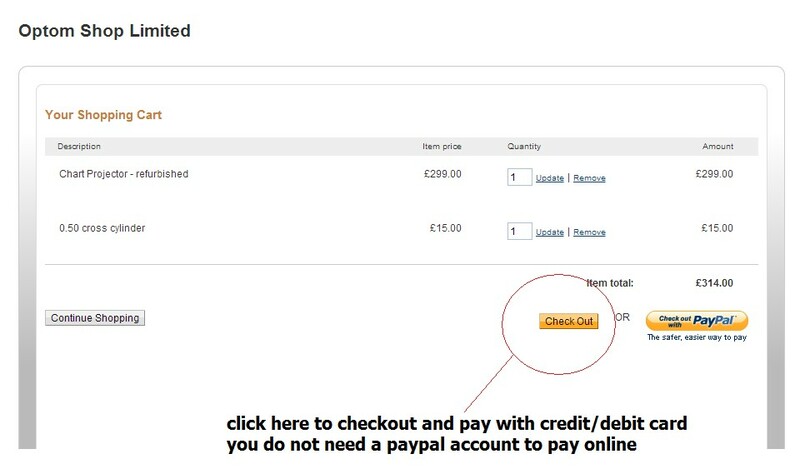 If you have a PayPal account, you can select to pay by this option when ordering online. Payable to 'Optom Shop Limted' and send with completed order form (Word doc OR PDF). Or send a completed order form (Word doc OR PDF) and make payment. We accept offical NHS purchase orders.